Where have property investors struck gold after 18 per cent rent rise? SOARING rental returns on units have property investors singing ‘Bound for Botany Bay’, as they set sail to the bank. Rental prices in the Botany Bay Local Government Area (LGA) grew by 18 per cent per annum between 2011 and 2013 for two-bedroom units, according to PRDnationwide’s NSW Quarterly Rental Report; easily the highest in the greater Sydney region. Tenants now pay a median rent of $580 per week- $160 more than two years ago. The sharp increase came on the back of a 22 per cent lift in new tenancies for the area. The rise means that the yearly gross rental income for investors that own a tenanted two-bedroom unit has risen from $21,840 to $30,160. PRDnationwide research analyst Oded Reuveni-Etzioni said the rental increases had prompted locals to turn their own homes into investment properties in order to cash in on the higher yields. South of Sydney, Shellharbour was another strong performer, demonstrating 15 per cent growth per annum for rents on two bedroom units, which have risen from $200 to $265 per week since 2011. “The construction of the Shell Cove Marina, expansion of Stockland Shopping Centre and improvements to the Princes Highway are all contributing to attract new residents to the area,” Mr Reuveni-Etzioni said. Botany Bay and Shellharbour were well clear of the rest of the Sydney Greater Metropolitan Region for rental price gains. The next best LGAs were Rockdale and Campbelltown, with seven per cent, followed by Penrith, Leichhardt and Wyong with six per cent. 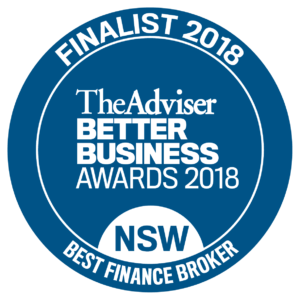 https://cleverfinance.com.au/wp-content/uploads/2018/05/new-logo-blue-final-300x188.png 0 0 cleverfinance https://cleverfinance.com.au/wp-content/uploads/2018/05/new-logo-blue-final-300x188.png cleverfinance2013-09-03 06:33:432013-09-03 06:33:43Where have property investors struck gold after 18 per cent rent rise?